Throughout our anniversary year we have profiled some of our early innovators on large posters around our campuses and on ‘A drop of history’ coffee cups at our Bentley campus. 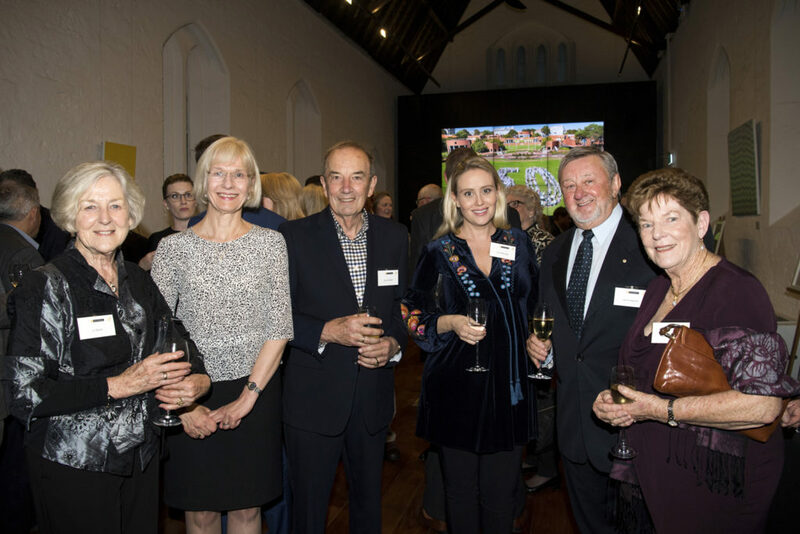 On Wednesday 20 September we welcomed some of these ‘history makers’ and their families to Curtin University St Georges Terrace for a special celebration. In her address to the invited guests, Vice-Chancellor Professor Deborah Terry described the bold actions and attitudes of our early innovators that have helped set Curtin up for its success and briefly outlined the contribution of each of the 22 history makers to this journey. While many of our earliest history makers are no longer with us, their families were thrilled to see them honoured in this way. Fine bone china versions of the coffee cups and smaller, framed versions of the campus posters were gifted to the history makers and their families. You can find out more about our history makers here and view the event gallery here. History makers Emeritus Professor Jo Barker (far left), Emeritus Professor Laurie Hegvold (second from right) and Emeritus Professor Margaret Nowak (far right) with Vice Chancellor Deborah Terry, David Waddell and Amy Mogridge.